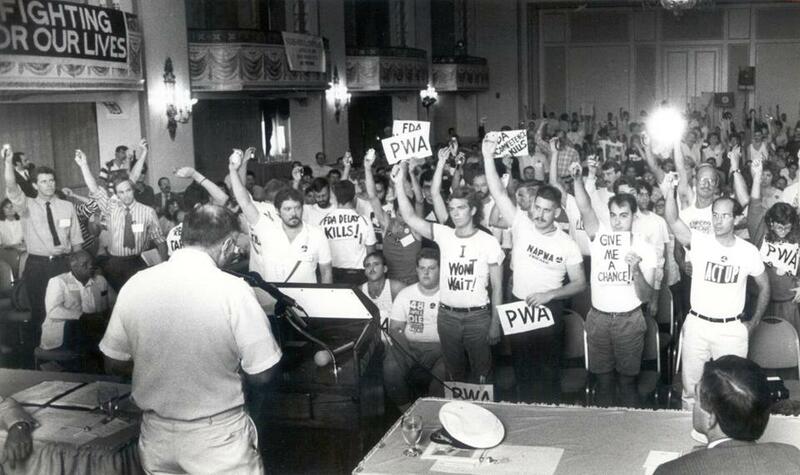 FDA commissioner Frank Young addresses an angry crowd during a conference on gay health issues, in Boston in 1988. Repeated scandals helped create the Food and Drug Administration we know today: a thriving agency that effectively protects consumers and patients from unsafe food and drugs. However, Congress is overdue in passing legislation necessary to keep the FDA running, with one senator threatening further delay to force adoption of a policy that limits the powers of the agency. It is important that we remember the lessons of history and preserve the tools the FDA needs for its vital mission. In the 19th century, Congress granted the Customs Service and Department of Agriculture limited powers to protect Americans from adulterated drugs. However, it was not until public exposure by muckrakers of egregious industry practices in the 1900s that more comprehensive legislation was passed. Signed by President Theodore Roosevelt in 1906, the Pure Food and Drug Act prohibited the introduction of adulterated or misbranded drugs in interstate commerce but did not require premarket testing. It took the death of 107 people — many of them children — from the poison-containing elixir sulfanilamide, to remedy this shortcoming. 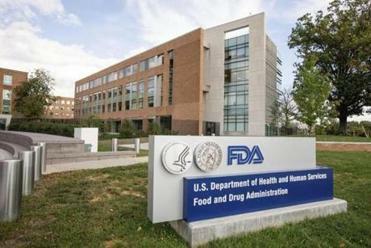 The resulting outcry facilitated enactment of the Federal Food, Drug, and Cosmetic Act in 1938, which mandated that manufacturers demonstrate the safety of drugs prior to FDA approval. In 1962, the Kefauver-Harris Amendments strengthened the protections of the FDCA, requiring premarket proof of efficacy in addition to safety. Again, the impetus for reform was tragedy: birth defects caused by the drug thalidomide. While the creation of the modern FDA is thus a story of consumer protection, the regulatory narrative changed with the emergence of AIDS in the 1980s. In the face of a seeming death sentence, patient-activists clamored for the opportunity to try investigational medicines of unknown safety and efficacy. They argued that the drug approval process was too slow and wanted to avail themselves of any chance, no matter how slight, of not dying from the disease. In response to this pressure, the FDA formalized a process for patients with serious or life-threatening conditions to access investigational drugs. To allow such “expanded access” requests, the FDA must determine that no similar therapies are already on the market, that access will not interfere with ongoing clinical trials, and that the benefits of access justify the potential harms. The FDA approves the overwhelming majority of expanded access requests it receives. Despite this fact, the perception of the FDA and its procedures as obstacles to expanded access has persisted. In 2003, the Abigail Alliance for Better Access to Developmental Drugs sued the agency, arguing that terminally ill patients had a constitutional right to access investigational drugs. The case wound its way through the courts, with a federal court of appeals ultimately ruling, in 2007, that “there is no fundamental right ‘deeply rooted in this nation’s history and tradition’ of access to [investigational] drugs for the terminally ill.” Yet this did not end efforts to strip the FDA of its power to serve as the gatekeeper to potentially unsafe or ineffective investigational medicines. President Trump’s proposal to “slash restraints” at the FDA will do more harm than good. In 2014, Colorado enacted the first “right-to-try” law. Based on a model statute developed by the libertarian Goldwater Institute, the law declared that patients’ interest in accessing investigational drugs superseded the federal government’s interest in regulating those drugs and claimed to negate the requirement of FDA review of expanded-access requests. Variants of the Colorado law were enacted rapidly in different states, despite unanswered questions about their legality (such laws directly conflict with federal law) and impact (no evidence exists that the laws have improved patient access to investigational drugs). Today, 37 states have right-to-try laws, and 11 more states have right-to-try bills pending. More recently, right-to-try supporters have set their sights on a federal right-to-try law, which Republican Senator Ron Johnson of Wisconsin would like to incorporate as an amendment to the stalled FDA funding bill. This law would carve out access to investigational drugs from the FDA’s mandate for certain patients and — unlike existing and pending state right-to-try laws — would not be susceptible to constitutional challenges. It would additionally forbid the FDA from considering any deaths or serious side effects stemming from use of an investigational drug obtained under right-to-try. In other words, the nation’s oldest consumer protection agency, forged in the wake of tragedies, for the explicit purpose of protecting patients, would be blinded to harms linked to the products it would be charged with reviewing for use in the general population. It is up to Congress to decide whether to maintain the role of the FDA as protector or further limit its powers. Hopefully, it will not take another public health tragedy to check the current diminution of this vital agency. Alison Bateman-House is an assistant professor of medical ethics at NYU School of Medicine. Ameet Sarpatwari is an instructor in medicine and assistant director of the Program on Regulation, Therapeutics, and Law at Brigham and Women’s Hospital and Harvard Medical School.